As vets we have a responsibility to keep you informed on the dangers that our pets face and to give advice on how to avoid them. We all want our pets to be happy and healthy and protecting them from these distressing diseases is an important part of looking after them. This is not just a consideration in our puppies but also needs to continue throughout their life. A recent survey by the PDSA reported that 25% of dogs have not had a primary vaccination course and 21% do not have regular boosters. These are the lowest figures since 2011 and suggest that a significant proportion of our canine population is at risk from potentially fatal diseases. We have seen evidence of this problem with several outbreaks of preventable diseases being recently reported in the Veterinary Press. In Summer 2017 a number of dogs died from a severe strain of Parvovirus in Southern England and similar cases were reported in North Wales. Distemper was recently reported in a dog in Birmingham and there has been a pocket of cases affected by Leptospirosis seen in Scotland. It is easy to become complacent about these diseases and forget what a profound impact vaccination has had on their control. Our vaccine programmes will protect your dog from the major diseases Distemper, Adenovirus and Parvovirus and against the two most common strains of Leptospirosis found in the UK. Dogs travelling abroad may need vaccination against two additional strains of Leptospirosis as well as Rabies virus. All canine vaccines are approved by independent regulators and have to pass rigorous safety, efficacy and quality standards. The schedules are recommended based on studies into antibody levels to try to prevent unnecessary vaccinations. Our vets are happy to discuss the best programme for your dog and to answer any questions or concerns. 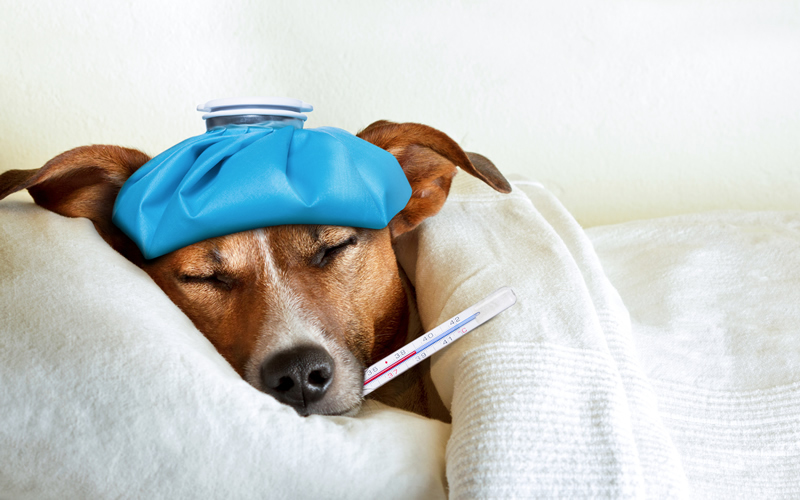 A vaccination visit also provides us with a valuable opportunity to check your pet’s general health. CHECK YOUR VACCINATION CARDS AND IF YOUR DOG IS OVERDUE DON’T WORRY.